It was Birthday week at our house and time is flying by! 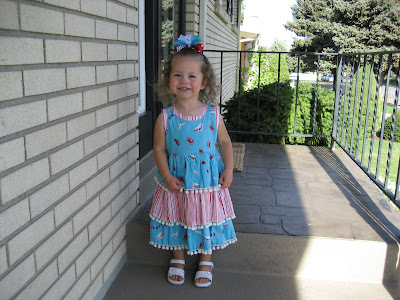 My little girl is now seven. 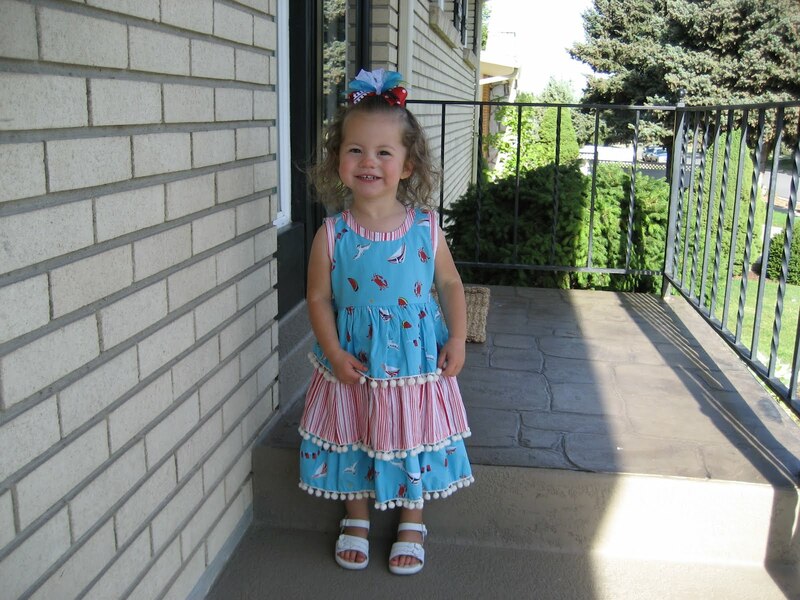 She loves playing her favorite songs and dancing around the house, American Girl Dolls, and playing with friends. If you know Lexi you know she spends half her time upside down. She is our little gymnast. Lexi requested a craft night and late-over for her Birthday. All the girls came ready to party in their favorite PJs and Lexi kicked it off with a dance party. Then it quickly turned into chasing Peyton around the house. Girls will be girls! We set up a few different crafting stations and Lance was a pro at helping the girls design their bracelets. They each decorated a personalized t-shirt. Then decorated their treat bag to take home their creations. It was a fun night with lots of cute girls! Peyton is now a big nine year old. When he was younger I had to always watch him to keep him safe and from darting off and getting lost. Now he is always helping me watch Kempton and being a great big brother. Peyton keeps everyone on track at our house. He makes sure everything is done right and is a great example for Lexi and Kempton. Peyton chose to have his friends over for pizza and night games for his birthday. They are a wild group of boys when they all get together but they are all a lot of fun to have around. I hopefully look forward to a lot of years of feeding all these cute boys! Nana surprised him with the Pro Mini Hoop he has been wanting for a long time. I think he must have left enough clues by telling her all about it and leaving it pulled up on her computer so she new exactly which hoop was the best. Peyton had a great birthday filled with lots of favorite things. Lance is the best husband, dad, and friend! He always gives 110% to everything he does. Lance is always willing to help out with anything from doing the dishes to coaching one of the kids and he does it with a smile. We celebrated with dinner at Typhoon. Then we went for a fun night swim. It was a great week filled with lots of Birthday celebrations! Last week we headed down to St. George for the March Madness baseball tournament. I never thought I would have so much fun watching hours and hours of baseball. Lexi and Kempton spent most of their time playing with friends and on the playground. It was great to have so many fun families to go out with. The boys sure worked up an appetite with all their games. The girls just loved being together for meals, swimming, and hours of playing. Peyton had his first go at pitching. He was great at throwing a strike and was three and out (a little beginners luck). He is just needing more practice to get the arm strength for the fast ball. The last day we spent with Nana and Grandpa at the fun center. Peyton and Lance both have a need for speed. Lexi and Nana are wild women together. Kempton was devastated that he was not old enough to go in the fast cars. Instead he had to go on the kiddie track where the cars went nice and slow. For the next two days he would randomly break into a fit saying he wanted to go in the fast cars and that he thought his car was dumb. We ended the trip with a friendly game of mini golf before we headed home. It is always fun to get away and spend time friends and family! Life has been busy with a bunch of different things lately. 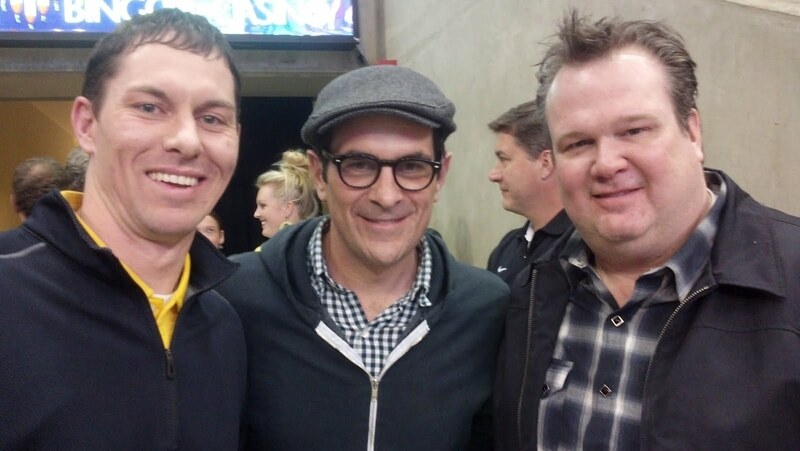 One of the funner things was while Lance was in California for work and golf he went to the PAC 12 basketball championship and met Ty Burrell (Phil) and Eric Stonestreet (Cameron) from Modern family. Peyton has kept us busy this winter with his basketball schedule and indoor baseball practices. Along with everything else going in life we have new busy church callings and we put our house for sale. So if you know anyone looking for a house in Holladay send them our way. Life keeps us hopping! Kempton knew exactly what cake he wanted for his birthday. We celebrated Kempton's Birthday over a couple of days. Because in the middle of January we will take any chance we get to party. The kids table was happy with quesadillas, grapes, and chips. I love watching Peyton and Lexi play with Kempton. They are great at teaching Kempton how to do new things. Marin hosted a yummy breakfast the morning of Kempton's Birthday. Then we all went to Bouncing Off the Walls and let the kids go crazy. There is no fear in this kid. He will climb, jump, or slide down anything and he is fast. I often feel like I am raising Dash from the movie The Incredibles. We ended the day with a stop at his favorite restaurant for corn dogs and ice cream. Happy Third Birthday Kempton! We love our endless bundle of energy!